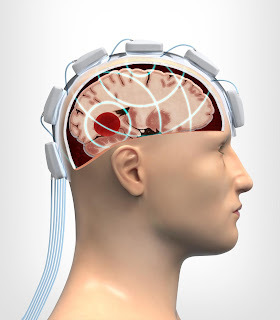 Results from a clinical study demonstrates that microwave measurements can be used for a rapid detection of intracranial bleeding in traumatic brain injuries. The study, published in the Journal of Neurotrauma, shows that health care professionals get vital information and can quickly decide on appropriate treatment if patients are examined using a microwave helmet. Previously, microwave measurements have been used to distinguish stroke caused by bleeding in the brain from stroke caused by clot. The new study shows that the technology also applies to patients affected by traumatic brain injury, which is the most common cause of death and disability among young people. This type of injuries are often caused by traffic accidents, assaults or falls. An estimated 10 million people are affected annually by traumatic brain injuries.